Electric Vehicles: Should we intervene? 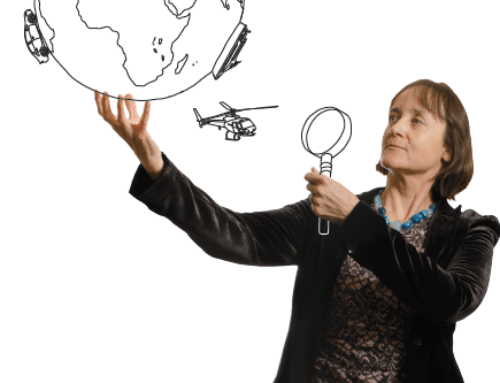 Home/Energy Cultures, News & Updates, Team Blog/Electric Vehicles: Should we intervene? 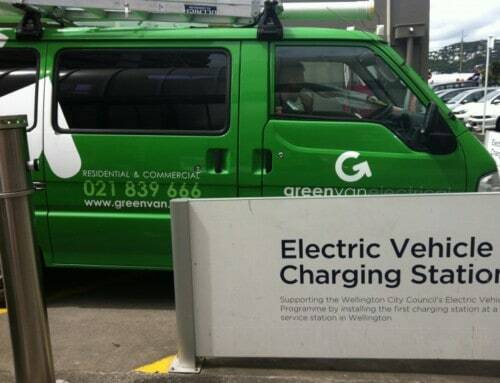 Over the past two years there has been a growing interest in the role that Electric Vehicles (EVs) may play in driving a sustainable transport system for NZ. Their potential to help achieve emissions reductions and greater energy security, along with improved productivity from cheaper running costs, mean that EVs have become central to any discussions about New Zealand’s transport futures. EV sales, while still very low, are rising as purchase costs are decreasing, performance is improving, and model range is broadening. But it is not easy to predict how quickly they will be adopted into NZ’s light vehicle fleet. Our research aimed to shed some light on this issue through developing a System Dynamics (SD) model of the light vehicle fleet which is capable of exploring the a range of plausible scenarios for the uptake of EV. The model, shown below, tracks the inflow and outflow of new and used vehicles in the light vehicle fleet. These cars are grouped according to 3 fuel types – internal combustion engines (ICE), hybrids (HEV) and electric (EV) – and 5 age bands. New vehicle registrations are split into fleet and private purchases. Data from The New Zealand 2013 Vehicle Fleet: Data Spreadsheet. (2014) is used to set parameters for new and used vehicles coming into the fleet, and for the discard rates out of the fleet, according to fuel type and age categories. 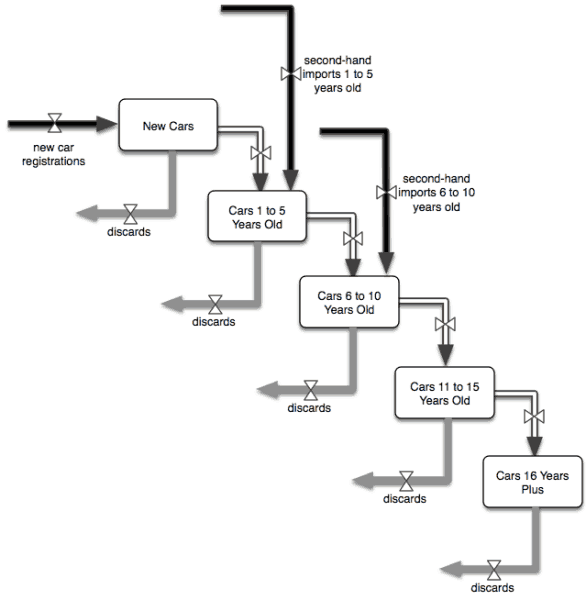 Building the model this way enables a variety of ‘what if’ scenarios to be run. This helps to explore how the uptake of EVs may be influenced by factors such as changes in the price of EVs; tougher emission standards; increases in range; or shifts in fleet purchasing regulations. The model also provides a platform to test assumptions around EV uptake, by outlining the changes in vehicle purchase that are needed to achieve various levels of penetration. The following scenario assumes that price parity is achieved within 24 months and that price parity increase current sales of EVs tenfold. Furthermore, the scenario assumes that EVs make up 20 per cent of fleet sales within three years. 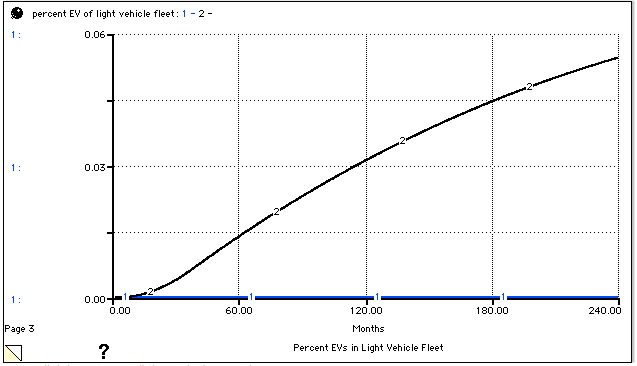 Even with that significant increase, EVs only make up 5 per cent of the light vehicle fleet within 20 years. These findings suggest that the uptake of EVs into the light vehicle fleet will be very slow for many years to come, even if EV prices drop considerably. To achieve a higher level of uptake, such as a 20% penetration of EVs within 20 years, intervention is needed to alter both the flows into and out of the fleet. 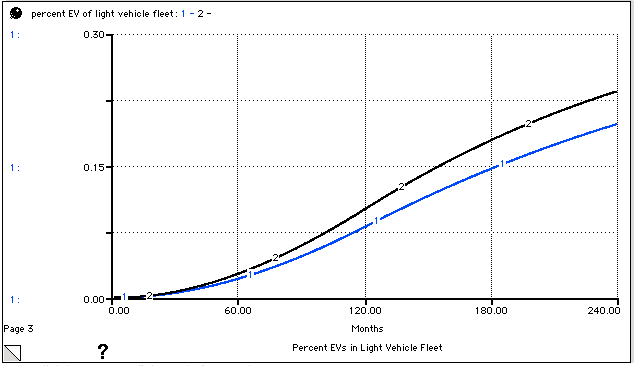 For example, Run 1 on the graph below (the blue line) represents a simulation in which EVs make up 20% of the light vehicle fleet in 20 years. 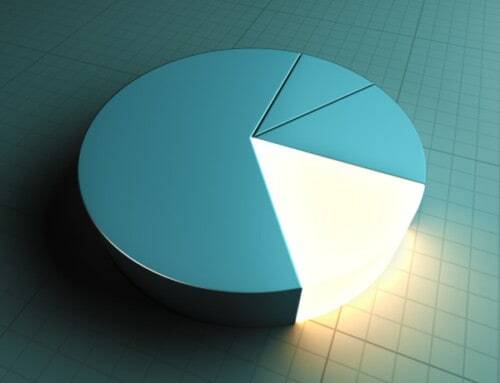 However, to achieve that figure, the registration of EVs had to rise to 40% of fleet purchases, 35% of privately registered vehicles under 5 years of age and 20% of privately registered vehicles 6 years or older, all within a 10 year timeframe. Run 2 (the black line) shows the same uptake assumptions combined with tougher emission standards, resulting in a 50% increase in the discard rate of older ICEs. Achieving a target such as 20% of the fleet in 20 years will require interventions that make a significant impact upon EV inflows as well as discard rates. Given that around 60% of new vehicles are fleet purchases, interventions will need to target businesses as well as the general public who are more likely to purchase used cars. The modelling suggests that the most effective intervention would be to reduce the initial cost of purchasing an EV, and in particular to change the relative costs of EVs compared to ICEs. Discard rates of ICEs will also need to be sped up, allowing more EVs to enter the market. EVs are very unlikely to become a significant part of the NZ light-vehicle fleet within the next 20 years unless the government takes a role, as market mechanisms alone will be insufficient. Interventions such as emissions standards, to increase discard rates of older ICE vehicles and mechanisms to reduce upfront cost of purchase could be effective in speeding up uptake, with consequential benefits to productivity, energy security and the environment. All thoughts welcome in the comments below. Dr. David Rees is a founding partner of Synergia Ltd, a research and consultancy organisation based in Auckland and Sydney. 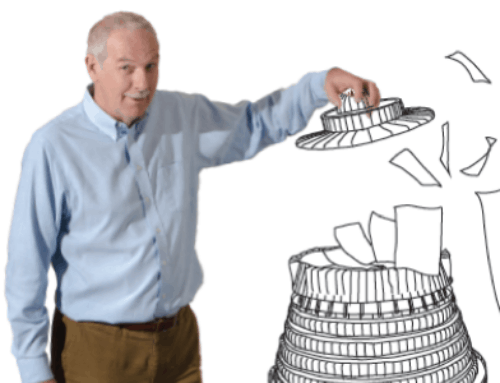 David leads the “System Dynamics Modelling” workstream which focuses on the use of modelling and simulation tools to help integrate the work of the different workstreams. Right. But you have neglected an important need: research. To persuade councils, health boards and government departments to convert we need to have a model into which they can plug their usage data and come out with acost/benefit analysis — one that allows for economies in bulk buying/servicing possibilities. That’s a good point Judy. I agree and maybe incorporating such a cost-benefit analysis could be a useful next step in the model development.